How about talkin bout 2012 the movie? This is exactly the reason why they struggled with the creation of this section. Your post belongs to the off-topic section. Your question should be more like, "Do you think the world is going to end in 2012?" 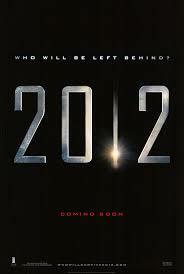 Than someone should change this to "Do you think the world is going to end in 2012?" Once this is done, I will post my thoughts and comments about it. But for now, I BELIEVE it would be considered "SPAM!" Sigh to fail start of debate forum. Too bad I can't move it. But I do want to watch it.